It’s been almost 15 years ago since we had our first conversation about growing a garden together. It’s been that long? We still can’t believe it. Back then, our garden inventory was a mere small handful of terra cotta pots filled with herbs on a tiny balcony of a second story apartment. We were only able to occupy half of that balcony because we shared the apartment with two other roommates. So, our personal space back then was one bedroom, a shared bathroom, kitchen and half a balcony. Compared to what we have growing now, we had very little back then. But we always dreamed big because of what our monthly issue of Sunset Magazine inspired us to what we “can do” with our small space and if we had just a bit more yardage, of what we “could do”. Well, we found our space, filled it with 38 fruit trees and continually played in the dirt. But never ever in our wildest dreams would we ever believe that we would find ourselves and reading about ourselves in Sunset Magazine, the exact publication that continually encouraged and inspired us to grow more and live green. It’s surreal and strange to see our faces in the very magazine that inspired our garden to grow and flourish to become what it is today. So it’s here, the February 2011 issue of Sunset Magazine and we’re on pages 50 and 87. There isn’t just one, but two stories about our garden citrus in this issue and it’s too overwhelming for us to even comprehend how this all happened. We’re still in shock and often shy about it all. In fact, they even used our photographs of the detailed fruit that we shot in the story. Double shock treat omg wow! All we can say right now (or shout) is a huge THANK YOU to all the editors at Sunset Magazine, Senior Garden writer Sharon Cohoon and photographer Andrea Gomez for championing our humble citrus garden in this month’s issue. And to all of you readers and friends who have supported us on this blog, we thank you profusely. We’re thrilled, excited, in shock and even more humbled by this whole experience. You all made our wildest garden dreams come true! To celebrate and keep in theme with the citrus sunset stories, we made some refreshing meyer lemonade. 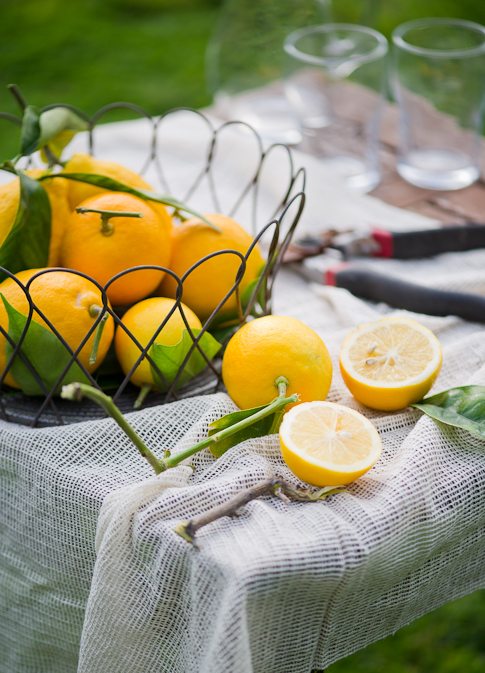 The floral qualities of meyer lemons brighten up the classic lemonade with a floral twist. 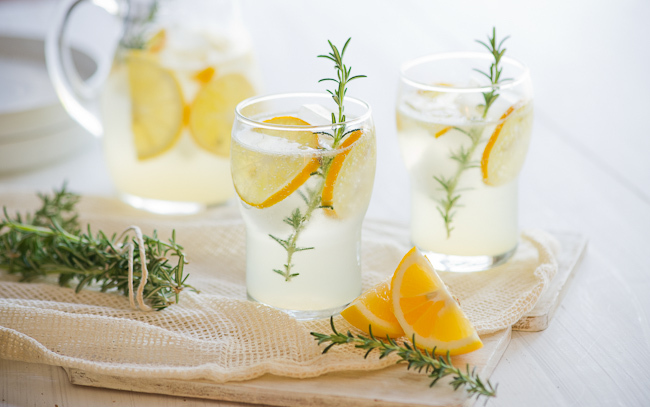 With an added sprig of fresh rosemary, this wonderful meyer lemonade becomes extra special, delicate and fragrant for such a joyous occasion. 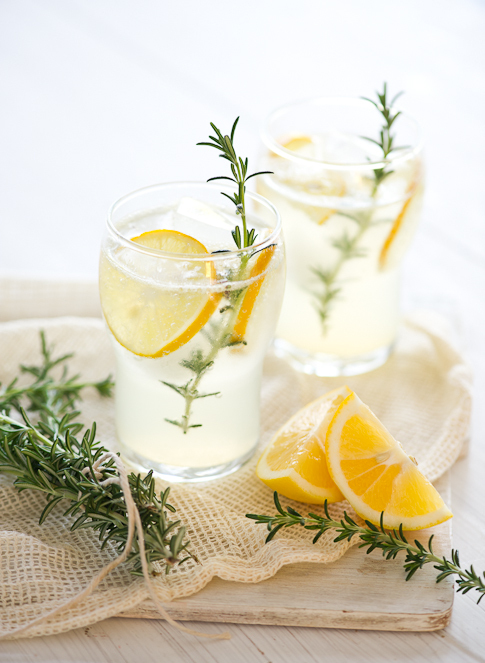 Make sure you slice up the meyer lemon rinds and infuse in the lemonade. The flavor will pop, and make this a drinkable meyer lemon candy. Thank you to every single one of you! our meyer lemons are finally ripe! 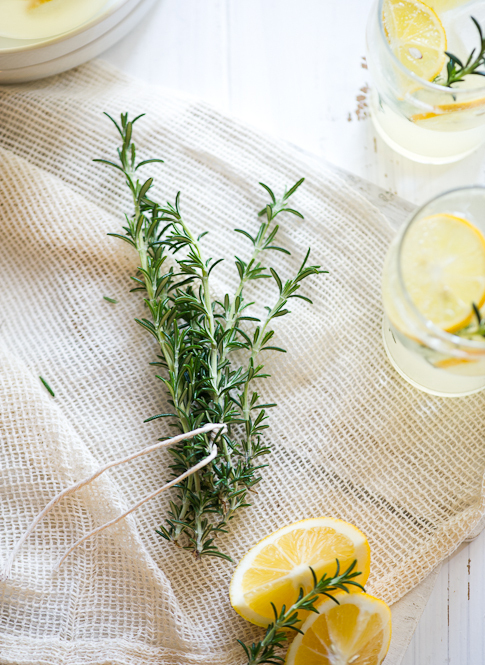 Don't go overboard with the rosemary, because it can quickly overpower the lemonade. It should give just the subtlest hint of rosemary to compliment the Meyer lemons. 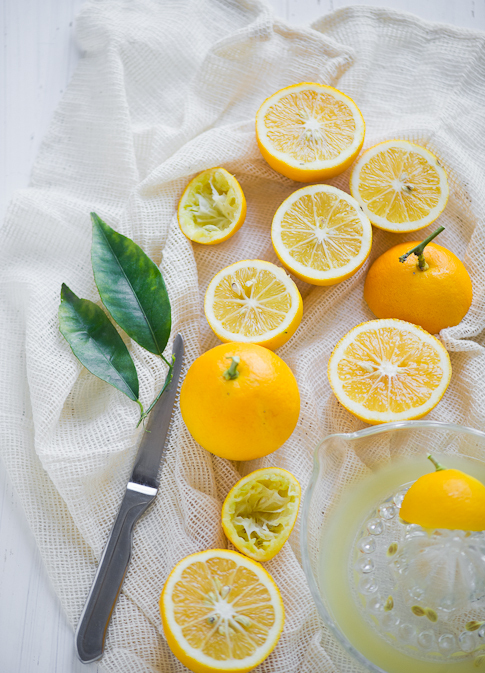 Throw in a few of the squeezed Meyer lemon rinds into lemonade to give it an extra brightness of flavor. Citrus have incredible flavor in the oils of their rinds and after squeezing, those oils have been pushed to the surface, just waiting to be used. We make our lemonades with simple syrup, a great staple to always have in the fridge, but you can always just use sugar or agave nectar to taste. Combine meyer lemon juice, simple syrup, and water in a pitcher, adding in a few freshly squeezed rinds of the Meyer lemons. Stir to combine and serve over ice. This is our basic simple syrup recipe. We'll often make variations by substituting palm sugar or agave nectar for some of the sugar or by infusing ginger or mint into the syrup when boiling. They are great for making your own sodas with a soda water. Simple syrup keeps very well, usually for months if your storage jar is sterile before filling. Makes about 3 cups. Combine sugar and water in a medium saucepan. Stir and bring to a simmer. Simmer for 15-20 seconds then take off the heat. Allow to cool then store in a sterile jar in the refrigerator. A beautiful drink both in taste and in eye appeal. However, I would suggest not using corn syrup. I added 3/4 cup of Meyer lemon juice, which enhanced the lemony flavor greatly. Good recipe! Congraulations! And, I can’t wait to try the lemonade. 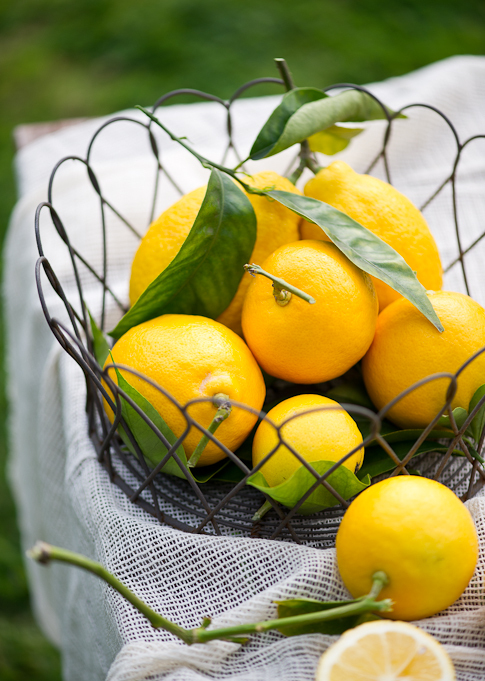 I’ve never tried a Meyer Lemon, here in the cold north they are scarce, but people have successfully grown them indoors….on my list of things to do! I’m wondering if you think citrus juice will freeze? Just finished making the meyer lemon bars…can’t wait to taste them. Meyer Lemon tree?!??! You lucky duck!!! 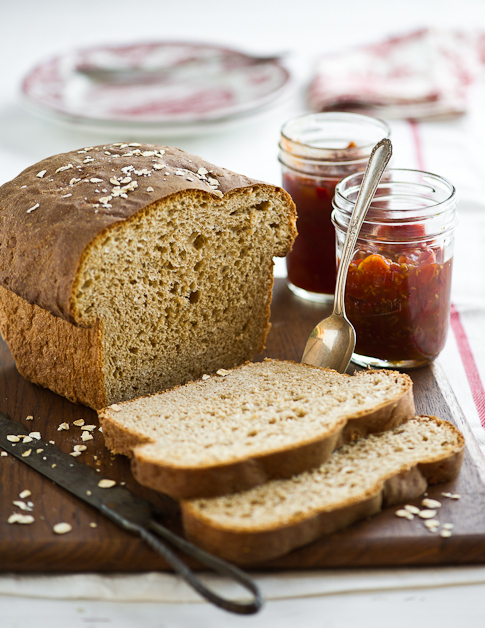 Fabulous recipe, can’t wait to try it! Beautiful presentation! Such a fantastic idea! 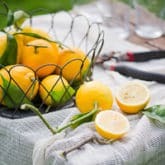 I do love Meyer lemons and this is a great way to feature them! Meyer lemon lemonade sounds really good! It would certainly add a bit of sunshine to these gray and dreary winter days! these photographs could not be any more beautiful than they already are. Congrats on the Sunset Magazine piece. No one is more deserving of this than the two of you. I see a book, or two, or three on your horizon! The best and the most classy home made lemonade. I have bookmarked this refreshing recipe and will make it asap. Thanks for sharing lovely posts. What a beautiful photo. Love the idea of the rosemary. Congrats to you for your success. As always, your photos are just amazing. 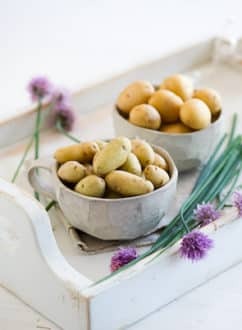 We’d love for you to share your recipe at dishfolio.com! 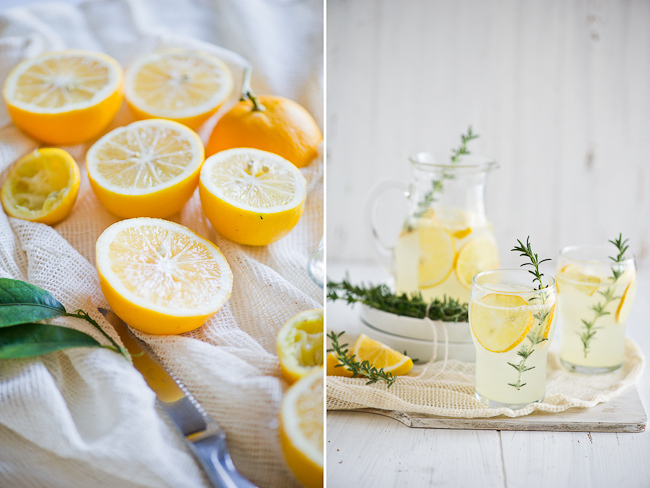 Your gorgeous photos have me dreaming of summer lemonade. A lovely contradiction to what we’re living with here in MN! Congrats on the article – it’s very well deserved. Beautiful photos and such an inspirational story. We’ll be trying to grow our first mini garden on the balcony this summer. Our first summer as a family! Thank you Alina. For further inspiration, especially for balcony gardening, you might want to check out Fern at Life on the Balcony. One of our favorite garden bloggers. Congratulations you two! Well deserved! I loved reading the article and of course the photos are beautiful. In reading the article I got answers to some of my citrus growing questions, so thank you twice! We have a navel orange, two Meyer lemons and a Moro blood orange in our yard. I treasure them and need to learn to do more for them, take better care of them. 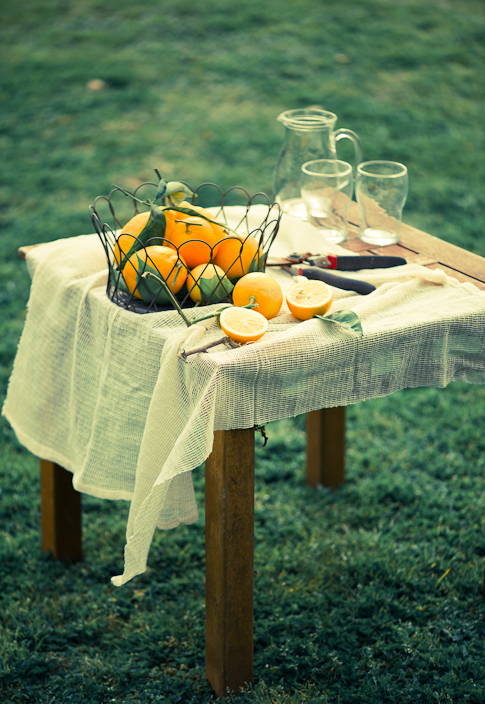 I am citrus crazy, and when I go out to pick fruit it makes me happy, and smile. Your home garden sounds amazing. Hope we get to see it sometime…and maybe a citrus growing lesson. I saw the piece online and loved it. You guys make me smile from ear to ear, and I agree, three times as many photos and I would have loved it that much more! Stunning and beautiful. 🙂 Congratulations on the SUNSET spread(s)! We only have 2 Meyer lemon trees and two mandarin trees here. Well… and a fig tree. With a third of an acre, we ought to find more room, because I want some valencias, navels, blood oranges, avocados… the list goes on. What a wonderful honor! I suscribe to Sunset, now I will keep it even longer! Here in snowy, cold NE Kansas, we have a little greenhouse, and the highlight of my winter is to harvest the meyer lemons!!! I love to be able to tell folks that this came from my lemon tree!! We were fortunate to harvest about 6+ gallons of fruit, and juiced almost 2 gallons of juice, freezing it in one pint quantities for future use!! This doesn’t happen every year, as having a little home greenhouse comes with certain problems.ie: The propane heater decided to shut off during the night, and before we found it, the greenhouse temp was in the 20’s!! Didn’t kill the trees, but every one of the baby limes and leaves on the lime tree (yep,had to have one of those, too), fell off. The lemon tree only lost about half it’s fruit and leaves, hence the harvest. Anyway, your pics are the perfect eye-candy. 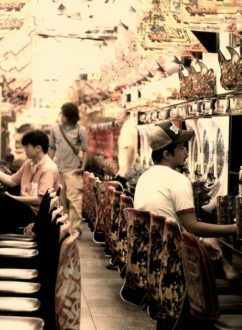 Thank you for your super blog!! We have always talked about what we’d do if we had a house in cold weather and keep saying a greenhouse would be a must. Sorry to hear about the casualties. We get nervous the few times over the winter when we have a frost. Luckily now everything is getting established to the point that they have been unaffected. I love Sunset magazine and what an honor for you two to be in it…major congrats to you both! You deserve it!! Very cool! I can’t wait to get the magazine and see the piece about you guys. Congratulations! That is such a nice article. I’m a longtime Sunset subscriber so it’s a thrill to actually know someone who is IN an issue! Beautiful photos. Love the lemonade recipe posted here too. I subscribed to Sunset even when I lived in New York, because I loved it so. Still one of my favorite magazines, and the spread(s) were fantastic and totally inspirational. We just bought a house this year in Pasadena (after years of cultivating a garden on an apartment patio) and we have 15 fruit trees in the ground, including an olive and an ornamental plum which is too sour to eat but will make great jam. I hope. One of the greatest things about living in Southern California! Congratulations on your article in Sunset!! I felt like I was reading about old friends. Good job!! Awesome, congratulations Todd and Diane, love your style more and more! Those are truly magnificent photos. You should license them to iStock or something. Congratulations for such a distinguished from Sunset magazine. Every year I host a potluck dinner where everyone is asked to bring a Meyer lemon dish, from entrees to desserts. Everything has to have Meyer lemons in it. I just know your Meyer Lemonade with Rosemary recipe will be a big hit. I must admit that I am running out of creative ideas for Meyer lemon dishes. 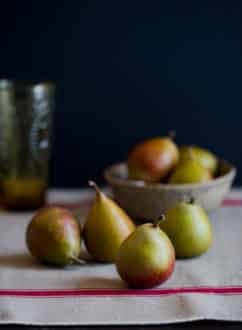 Do you have any recommendations for Meyer lemon recipe books? What a story…..so romantic and the sayina ‘what goes around surely comes around’ comes to mind! You guys are totally deserving of this and much more. I wish you more and more success! It was such a cool surprise to see you guys when I opened my recent Sunset Mag!!! You deserve this lovely spread!! so awesome… gorgeous photos of course. Amazing! You two are a true inspiration! Keep up the beautiful work! Your garden looked beautiful and the recipes sounded delicious! You’ve inspired me to get outside I get to work. My mom usually does all the gardening, but I told her this year I would help, as long as I was growing food I could eat. I did plant somethings I probably should have waited to plant, but with the beautiful weather we’ve been having in Orange County, I couldn’t resist. Was so excited to read your article in Sunset when my issue arrived in the mail! I too love all the inspiration that comes from Sunset, and often daydream about having a home one day that looks like the ones on the pages of the magazine. And now you are a part of that daydream! Thanks for sharing! Wow that is so cool! Congrats the spread looks great! Huge congrats! You two are so amazingly inspirational in all that you do- you deserve this attention. Will look for the magazine ASAP! Thank you for sharing the fruits of your labor – you never fail to inspire! If I were to consult the I Ching (ancient book of changes), and ask how it is that you’ve achieved your success…surely the answer would be “Perseverance Furthers”. After three different stores (yup, THREE!!) I finally got my hands on a copy of the magazine!!! Absolutely beautiful!! Truly wish I had your gift for gardening – as the granddaughter of a professional gardener, it’s rather embarrassing – evidently the “green thumb” skipped my generation!!! Congrats on being featured and twice in Sunset. We don’t get the mag in India, but I do have one of their very old books on dessert & ♥ it. This is yet another gorgeous post. You never cease to amaze! I just finished reading the Sunset article yesterday!!! Your photographs in the article are simply beautiful, and I was amazed (and jealous) to learn you had a whopping 38 fruit trees! Like you have experienced in the past, having only a small apartment balcony doesnt really fulfill too many garden dreams; but, your prolific yard now gives me inspiration for the future. 🙂 Great lemonade recipe, and great article in Sunset. I have this issue, was surprised and delighted to see you in it and after my recent ‘virgin’ Meyer lemon experience am so envious of your tree crop. A friend in California sent me a box of lemons from her tree and I spent the first couple of days just enjoying the aroma of them sitting on my desk. But when I did make something…it was Meyer lemon and rosemary bars, so I can well imagine this drink and am wishing even more I had my own tree. Our weather in Denver is not conducive to citrus so I’m remain a fan from afar but now know intimately when you speak Meyer of just what that means! I love stories like yours and I love what goes around comes around. I wish I was your “neighbor”. In my part of Texas growing citrus is not that easy. I have ONE meyer lemon tree and it is planted in a pot. I pamper it – I baby it and I was graced with ONE lemon this year. I have watched it dutifully so I could let my young grandson have the pleasure of picking the lemon. Alas, a pesky squirrel took the honors and the lemon. All I got for my labors this year was a headache and raised blood pressure. I will have to see if Whole Foods has meyer lemons to try your lemonade. I am fairly new to your blog, but have to say that I enjoy your writing styles as much as the pictures that you post that the two of you have taken. You both give your readers much pleasure. I picked up a copy of that Sunset issue last week and was so thrilled to see the two of you and your beautiful garden. Two wonderful stories and plenty of inspiration. It’s so heart-warming to know your garden dreams came true. Congratulations! 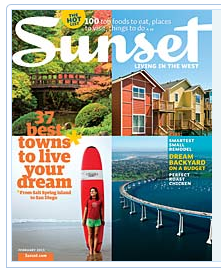 I would be disappointed if the Sunset magazine didn’t use your own images. Love that they did. A great garden story to read. All the best. what a beautiful, inspiring post & love the Sunset spread! I’m tempted to try growing a citrus tree in a container & bringing it in for the winter here in Kentucky. Just may do it yet! I have been reading Sunset since I was in middle school and owe much of my love for gardening, cooking, and travel to the magazine. It was beyond awesome to see you in the February issue! Your garden sparkles and you both should be so proud! It was so exciting to see the two of you in my issue of Sunset! Such a great magazine. You guys definitely deserve it. Congrats! HUGE congrats to you guys! beautiful feature- this is so exciting!! Congrats! And your lemonade sounds fantastic.